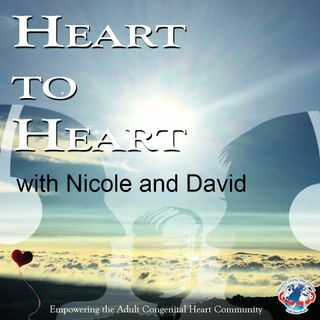 With over a million and half adult Heart Warriors in the United States alone, it's time for a podcast for adults by adults in the congenital heart defect community. In "A New Beginning" you will meet Nicole Vickery and David Franco, two adult CHD Warriors. Their producer, Anna Jaworski, interviews them about why they have decided to co-host a podcast, who can be on their program and what they hope to accomplish with their podcast "Heart to Heart with Nicole and David." ... See More Won't you meet us in our chatroom? Go to Paltalk (this is an app you'll need to download and register with but it's free!) and come into the HUG Podcast Chatroom to listen to the show with us and chat with us.